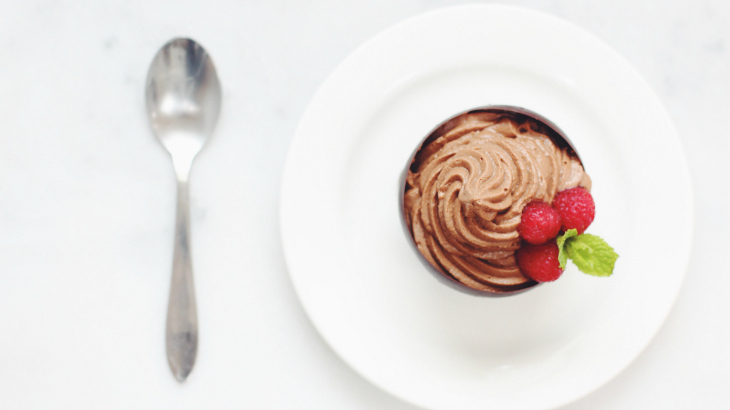 In search of a super last-minute yet SUPER impressive Valentine's Day dessert? You're in luck. 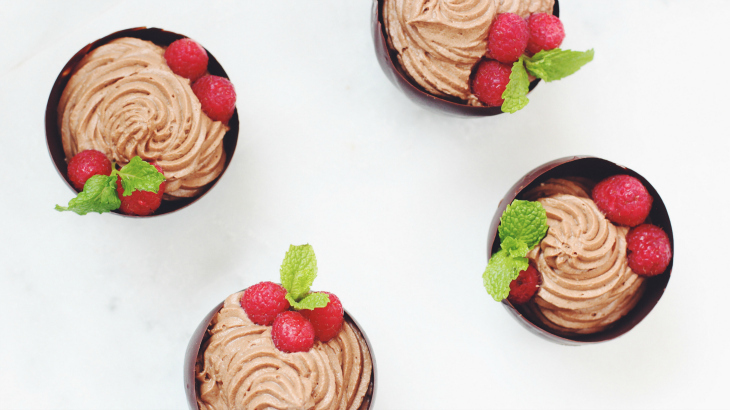 These edible dark chocolate cups filled with fluffy, chocolatey mousse are so elegant (and look a lot more complicated than they are.) Watch the video above for a quick step-by-step, and scroll to the bottom of the post for the full recipe. Oh, and Happy Valentine's Day!! 1. 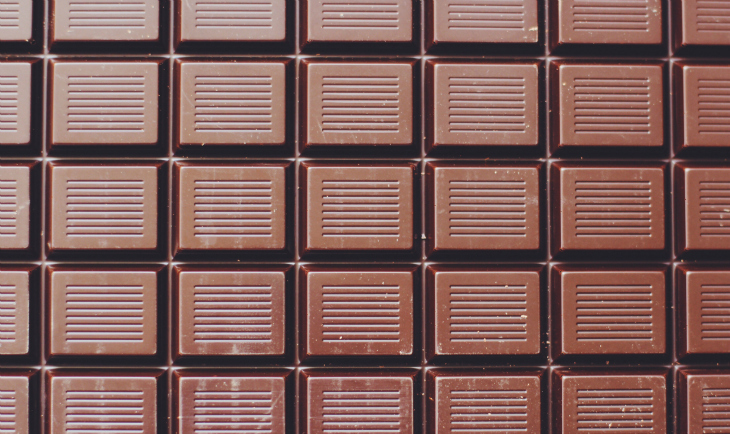 Melt the dark chocolate. Set aside and allow to cool to room temperature. Meanwhile, blow up the water balloons. Rinse them off, dry them, and dab each with a bit of coconut oil (or nonstick spray) on a paper towel. This will help to keep the balloon from sticking to the chocolate. 2. 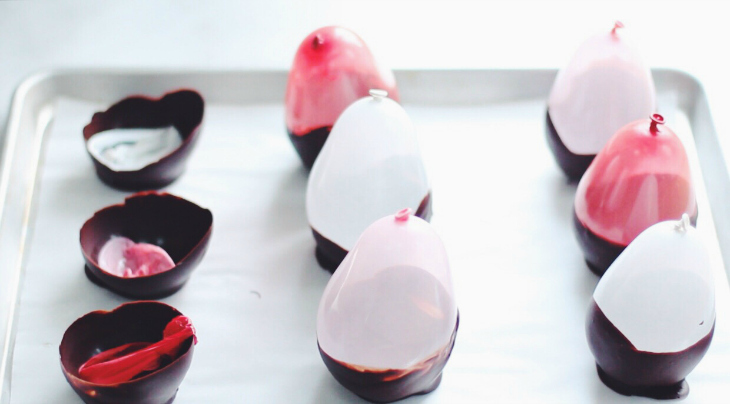 Once the chocolate has cooled, dip each balloon halfway into the chocolate. Coat well, and place onto a parchment lined baking sheet dabbed with dark chocolate (to act as the "base" of the bowl.) Pop them into the freezer immediately. Freeze for about 15 minutes, until the chocolate is set. 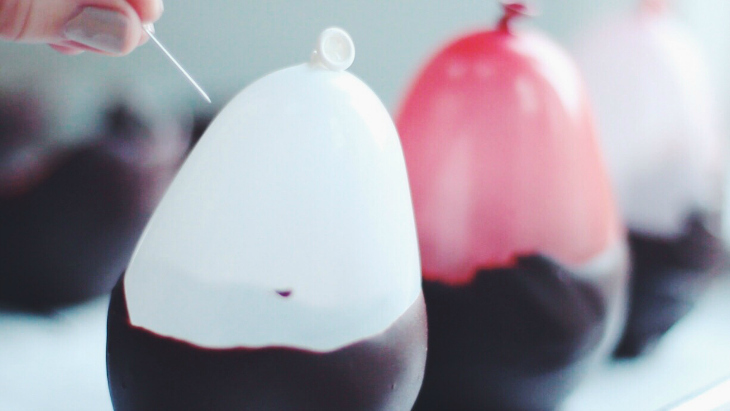 Once set, pop the balloons with a needle and remove from the chocolate. Return to the freezer. 3. Next, make the mouse. In a mixing bowl, whip the cream cheese and butter. Once fluffy, add in the powdered sugar, cocoa powder, milk, and vanilla. Whip for another minute, until combined. 4. Whip the cold heavy cream in a separate bowl. 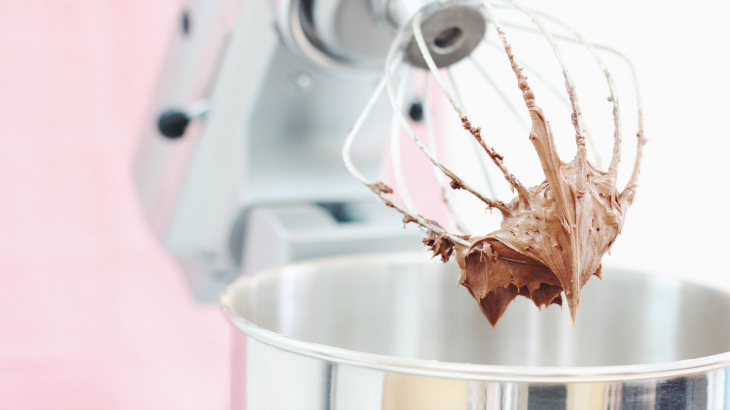 Once stiff peaks form, carefully fold the whipped cream into the chocolate cream cheese mixture. Once thoroughly incorporated, place into a piping bag with a star tip and pipe the mousse into the edible chocolate bowls. 5. Garnish with fresh raspberries and sprigs of mint if desired. Serve immediately and enjoy! Yummy, looks good.Thanks for the tip. It was very useful.You made it and they actually turned out well.Happy to read your post and appreciating you for making this better and yummy foods.Thanks a lot.You will get academic integrity, quality and punctuality from sites available now. Hence, each of the paper done at custom essays has a touch of professionalism.So try to write better and make your essay better at any level.Its the better way for you to make your essay with good contents.Refer custom essays.